When you stay at this apartment in Palm Cove, you'll be near the beach, a 1-minute drive from Palm Cove Beach and 5 minutes from Clifton Beach. 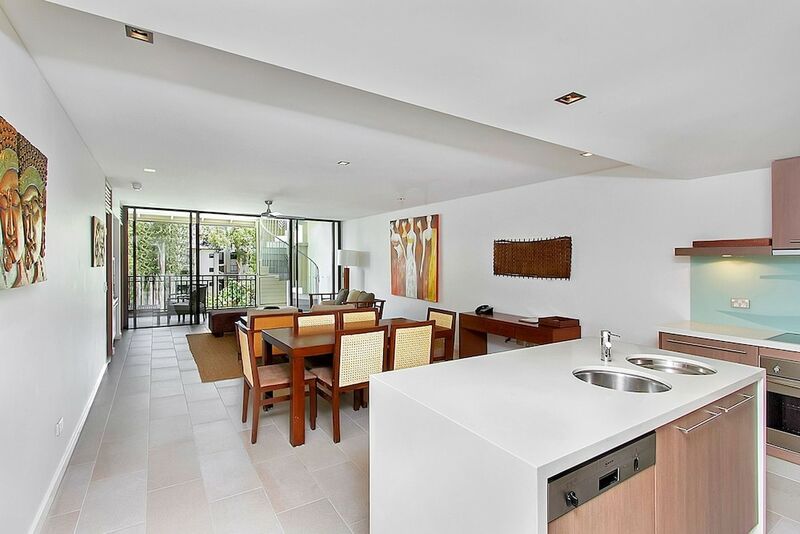 This beach apartment is 8.4 mi (13.5 km) from Great Barrier Reef and 1.4 mi (2.3 km) from Clifton Village Shopping Centre. Make yourself comfortable in this air-conditioned apartment, featuring a kitchen with a refrigerator and an oven. There's a private balcony or patio. Cable programming and a DVD player are provided for your entertainment, while complimentary wireless Internet access keeps you connected. A private bathroom with a separate bathtub and shower features a jetted bathtub. Don't miss out on recreational opportunities including an outdoor pool and a fitness center. Additional features at this apartment include complimentary wireless Internet access and tour/ticket assistance. At this apartment, enjoy a satisfying meal at the restaurant. Wrap up your day with a drink at the poolside bar.